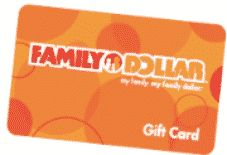 Click here to visit the Family Dollar site and click the “Click here” button. On the next page either register or login. Finally just submit a short tip on saving on baby essentials and you’re done. 235 people will score a free $20 Family Dollar Gift Card. You can enter daily through September 30th. Good luck!